South Ways is an open project to define creative practices that have a home in the South. the Wellington roundtable on bestow in Giving art away, which resulted in the dream of a Festival of the Public Gift. the Sydney roundtable on reverse in Paradise is here, which suggested the idea of a Locally Distributed Biennial. the Hobart roundtable on glean in Thinking through flotsam, out of which was delivered the proposal of a Museum of Southern Memory. Emerging from the South Ways project is a set of proposals for platforms that might foster creative practices that are socially engaged. Creative practices include art, craft, design, performance and the new field of ‘social practice’. These practices attempt to work outside the commodity circuits that increasingly dominate the international art world. As well as the promise of new works, the development of these proposals are seen as a good in themselves in bringing people together and sharing ideas and values. In the 20th century, a common concern for countries such as Australia was the ‘provincial problem’. The combination of colonisation and globalisation rendered peripheral countries in the position of catching up with the activity in transatlantic metropolitan centres. The bulk of opportunities continue to be located in the North. In this year’s Venice Biennale, Massimiliano Gioni’s overview of world art Encyclopedic Palace included over 150 artists from thirty-seven countries, but not one from Australia, the 12th richest country in the world (there is one New Zealand artist, Simon Denny and four Latin Americans). Is this a sign of Australia’s cultural insignificance or the narrow interests of a European curator? In the 21st century, the provincial problem takes another turn with the so-called decline of the West. While the alliance known as the West experiences limits to financial and environmental growth, the emerging economies of the Global South are increasing their economic power. Where might that leave Australia and New Zealand? Are these countries peripheral to a region that itself is on the wane? For all the talk of Asian Century, there seems little purchase for Australasia in the south-south circuits now emerging, such as BRICS. The northern horizon offers some pathways, even if long and narrow. Australia and New Zealand do have pavilions in Venice and Sydney is on the biennale circuit. There is access to publications that speak of issues being ‘explored’ in major art centres. But where is the connection to a southern horizon? How does Australasian art figure in Africa or Latin America? What are they thinking? In recent years there has been a wave of interest in what might loosely be called Southern Theory. Latin American theorists such as Walter Mignolo have been championing ‘de-colonial’ art that draws from local knowledge. The Australian Raewyn Connell has been identifying how the discipline of sociology evolves as an importation of metropolitan concerns rather than reflect issues that are idiomatic of the south. And the South Africans Jean and John Comaroff have positioned the South as a laboratory of emerging social practices. New centres for southern studies have opened in Johannesburg and Buenos Aires. As social theory, this new thinking seeks ways of better understanding the way the world is. Less explored is the question of imagining how it might be. As yet, there is no developed connection between the critical concerns of southern theory and the potential of creative practice to change the way we see the world. South Ways is an attempt to open up a fresh space for creative practice that engages across the latitude. Its framework is dialogical, in which the field is understood as a changing set of views that are positioned in relation to each other. Ideas are partly determined by where they come from. There are important ways of thinking that do not fit with the Western systems of knowledge. There is no one universal system of knowledge: the challenge is to find ways of accommodating incommensurable world views. Western systems of knowledge do not acknowledge the interests at play in its theories and methods. It is better to contribute something new than borrow something old. 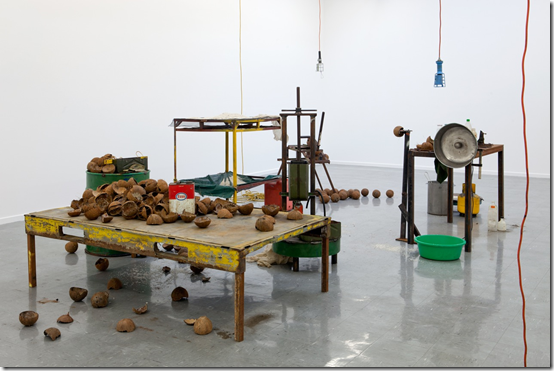 South Ways focuses on forms of creative practice that seem to reflect ideas in southern theories. It begins with four words—open, glean, swap and bestow. These verbs reflect different potential creative moves. Open reveals the production process of art that lies behind its commodified identity. Glean operates at the margins of market capitalism, making value from the leftover and copy. Swap changes places between the normal and exotic, reversing the primitivist gaze. And bestow focuses creativity in new circuits of exchange rather than the art object itself. These four operations are neither exhaustive of nor unique to the South. But they do resonate with the concepts currently being developed within the discourse of Southern Theory. The challenge is to map these paths within existing contemporary art, craft and design scenes. What practices might be identified as operating in this way and what issues characterise the landscape? 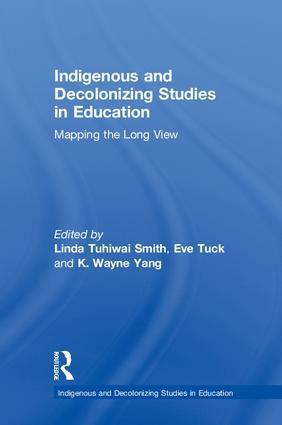 This mapping will entail a familiarisation with Southern Theory through key articles and books. The actual mapping process will occur in roundtables to be held in Melbourne, Sydney, Hobart and Wellington. The results of these will be published along with the maps as travel guides for those wanting to set out on alternative paths. These maps will hopefully provide conceptual scaffolding to help situate creative practice locally within a more multilateral global context. Black, C. F. The Land Is the Source of the Law: A Dialogic Encounter with Indigenous Jurisprudence. Routledge-Cavendish, 2010. Boone, Elizabeth Hill, and Walter Mignolo. Writing Without Words: Alternative Literacies in Mesoamerica and the Andes. Durham: Duke University Press, 1994. Comaroff, Jean, and John L. Comaroff. Theory from the South: Or, How Euro-America Is Evolving Toward Africa. Paradigm Publishers, 2011. Connell, Raewyn. Southern Theory: The Global Dynamics of Knowledge in Social Science. Cambridge; Malden, MA: Polity, 2007. Escobar, Arturo. “Culture Sits in Places: Reflections on Globalism and Subaltern Strategies of Localization.” Political Geography 20, no. 2 (February 2001): 139–174. Hountondji, Paulin J. African Philosophy Myth and Reality. Bloomington, Ind. : Indiana University Press, 1996. Mead, Hirini Moko, and Sidney M. Mead. Tikanga Māori: Living by Māori Values. Huia Publishers, 2003. Mishra, Pankaj. From the Ruins of Empire: The Intellectuals Who Remade Asia. Farrar, Straus and Giroux, 2012. Santos, Boaventura de Sousa. Another Knowledge Is Possible: Beyond Northern Epistemologies. London; New York: Verso, 2008. Smith, Linda Tuhiwai. Decolonizing Methodologies: Research and Indigenous Peoples. Second Edition,Revised Edition,2nd edition. Zed Books, 2012. Walsh, Catherine. “‘Other’ Knowledges, ‘Other’ Critiques: Reflections on the Politics and Practices of Philosophy and Decoloniality in the ‘Other’ America.” TRANSMODERNITY: Journal of Peripheral Cultural Production of the Luso-Hispanic World 1, no. 3 (January 1, 2012). I am interested to bring a group of 7 staff and artists in residence at Whitireia to the Southways roundtable talks and contribute to the dialogue.